Review part of TLC Blog ToursI read ''Beneath Still Waters' by Cynthia A Graham back in March of this year and was very impressed with her debut historical crime novel so when 'Beulah's House of Prayer' popped up for review with the 'TLC Book Tours', I jumped at the chance to be a tour host.Beulah Clinton, a kindly but fierce lay preacher, surprisingly isn't the main character of this story however she is the pivital character that the townsfolk's lives revolve around in this desolate dusty town. She arrives in Barmy with just her wagon drawn by two mules and sets up a boarding house where anyone in need of sustenance or comfort is always welcome.Sugar Watson, the narrator's mother finds herself stranded in town with little more than her fathers trunk and a coffin with his body inside. Self centred, with a tendency towards spitefulness when things do not go her way, Sugar is not a likeable young girl. With nowhere to go she reluctantly accepts Beulah's offer to stay for as long as she needs at the boarding house with her and another homeless boarder, Marigold Lawford a sweet natured, put upon young widow.Several of the chapters begin with an event reminiscent in the narrators mind which gently blend into the narration of the past to continue the storyline.Barmy is a 'godforsaken' place frequented by huge, violent dust storms which bring bad health and life threatening ailments in its wake. It tirelessly seeps in through every tiny crack or crevice and into homes to be inhaled and ingested by everyone. Dust tirelessly coats household surfaces no matter how many times it is cleaned away. There is no escape even from within the safety of their homes. The storms appear to foretell the arrival of bad news, upheavals, and crisis points for the townsfolk, with one almighty storm towards the end of the book bringing with it devastation and revelation in biblical proportions.At times it is an immensely touching tale with scenes so tender and heartbreaking that I was moved to tears. One such scene is of Homer Guppy, the towns 'bad boy' who doesn't want to leave the side of the dying Sugar because she would be afraid to be alone in the dark. (It's okay, no spoilers given.) The characters were utterly believable and I felt fully invested in them, I watched them grow, learn about love, sacrifice, and to care for, and be cared about, it genuinely hurt to feel their pain.Moments of humour are also evident as shown in a scene where Homer and Sugar are busy digging hole after hole in the yard, trying to find Beulah's buried mason jars full of money, unaware that they are being watched by an amused Beulah through the kitchen window.Beulah's House of Prayer is set during the depression era of the 1930's in the 'Dust Bowl' days of the Oklahoma Panhandle and is written with such depth of character, a light touch of southern gothic, and accompanied by a twist of magical realism. It was an absolute delight to read.Ultimately it is a tale of coming to terms with what you have and who you are, taking a long hard look at yourself and making amends. It is also about patience, friendship, hope, healing, redemption and forgiveness, and above all the power of love.I highly recommend this quick, heartwarming tale. Having read and loved both of Cynthia Graham's historical mysteries with Sheriff Hick Blackburn, I was excited to jump on the tour for her newest book. Although retaining the historical fiction and economically struggling small town setting of her other books, Beulah's House of Prayer departs from the mystery genre and instead is a short literary novel with a bit of magical realism skillfully woven in. It amazes me the amount of story and character-building that Graham accomplishes in a relatively short (200-ish) number of pages. Although I leave her books wanting more, I never leave feeling short-changed by the story told and the characters I meet. Barmy is a dusty, down-trodden place but there is hope and yes, magic contained in the towns and its citizens that give it a beauty that transcends its dusty appearance. Our story is primarily told by the daughter of Sugar Watson, who ends up in Barmy at the age of fifteen and wants to get out. Offered food and shelter in a ramshackle house by Beulah Clinton, an evangelical preacher, Sugar meets Marigold Lawford, left on the streets by the greedy son of her dead husband. Marigold's lack of backbone and innate goodness frustrate Sugar, who looks at everyone she meets in terms of what they can do for her and how they can help get her out of Barmy. Sugar finds herself attracted to Homer Guppy, the town's trouble-making teen and who the town looks at with a mix of fear, caution, and sympathy because of the frequent beatings he receives at the hands of his alcoholic father. Marigold is drawn to the local Sheriff, Joe Brownfield, but feels it would betray her dead husband to care for Joe. This ragtag group with their various quirks and flaws quickly worked their way into my heart while Beulah remained mysterious--a sort-of all-knowing, all-seeing guide, not afraid to offer her strong opinions, prayers and bible verses. There are times that magical realism can sway to the 'too much woo-woo' side, and take over a story. 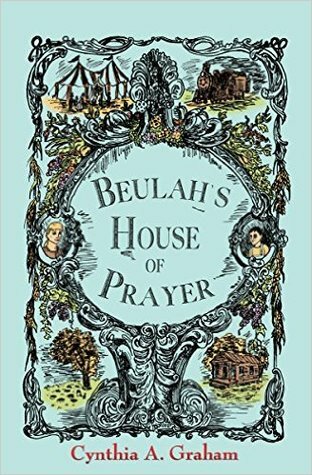 In Beulah's House of Prayer, it creeps its way in and it is just the right amount, adding a unique and special touch to this book. Although my anticipation built as the pages turned and the story began rushing to its climax, I wanted to stay with these characters and was sad to see it end. An overall charming and wonderful read--highly recommended! You can see my review and a recipe for Garlic Soup with Croutons inspired by the book on my Kahakai Kitchen blog post here: http://kahakaikitchen.blogspot.com/20...Note: A review copy of "Beulah's House of Prayer" was provided to me by the publisher and TLC Book Tours in return for a fair and honest review. I was not compensated for this review and as always my thoughts and opinions are my own. Ms. Graham uses language beautifully to set moods and evoke emotion. During one description of a dust storm I looked out the window expecting to see darkness. But her true strength is in describing characters. Her characters are flawed, sometimes painfully and unattractively so, Yet we are taken on journeys into their pasts to see how pain and sorrow damages and then she pulls us alongside as people grow and change. An overarching theme is love requires sacrifice. Yet, Sugar learns that the sacrifices of love-hers and of others-lead to a fuller life. Lessons on life in the dustbowlI won this book in a Goodreads giveaway for a fair and honest review. I read this book in one sitting, and although I enjoyed it for the wonderful and touching love story, I did find it hard to follow sometimes. The author frequently switches back and forth from the daughter's point of view to the mother's point of view. I found this distracting, when all I wanted to do was lose myself in this wonderful tale.I think the author does a really good job describing what it was like to live during the Depression and to experience the dust storms. The biggest thing expressed by this book is the need for people to be able to depend on each other. When you have nothing at all, you still have each other. If you have each other, you can get through anything together. As long as you have each other and faith.Oh.........and the ending appealed to me also..........I'm a HUGE horror fan.